The “Let’s not get carried away” Italian Road Trip! I gave some thought to how I should construct my report – should I break it up into sections – Amps for Wilsons, Amps for TADs, small room systems, etc. and incorporate the Milan tour with other experiences, or just give a chronological walkthrough of the Milan tour followed by learnings. I thought I would do the latter, and the separate sections could come at a later stage. As you read through, please understand, that my impressions can be confirmed by contacting Gian60 (on WBF and Audioshark), who was with me throughout this expedition. His friend Marco was there with us for 2 of the 3 days, and we were quite in sync with the observations. Back to one of my favorite rooms. Well there is much more, like Duntech Sovereign, Wilson Sabrina, Goldinote Systems for small rooms, and Metronome streamer, but let’s start. If you get bored, jump to conclusions and learnings. 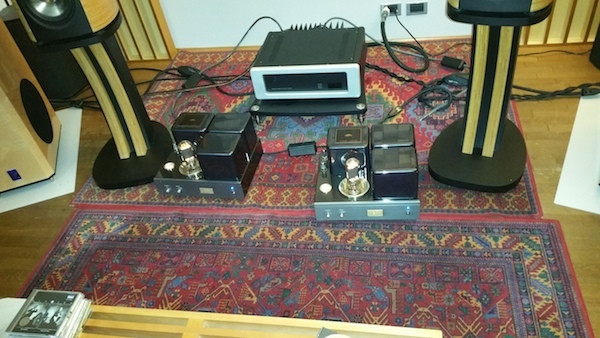 After Gian picked me up at the airport, we drove over to his friend Carlo to listen to the Wilson X1 with ML 32 pre, ML 33 power, Micro Seiki 111 with and the ML CD player. What surprised me most was that Wilson despite being big did not boom in this room. The sound was a little darker than I would have liked, but extremely pleasant and not at all harsh or bright as goes the solid state myth. 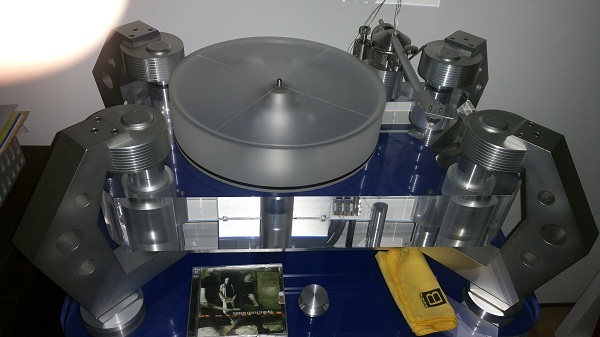 The Micro Seiki was a clear jump up in stage, realism and dynamics. 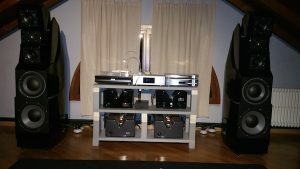 We then headed over to Marco, who initially ran the Krell Evo 1 on the Alexandria X2S2 but later moved it to his B&W 800D multichannel room, and is now driving his Wilsons with the Viva 845 30w SET amps and the Viva Linea 300b pre. 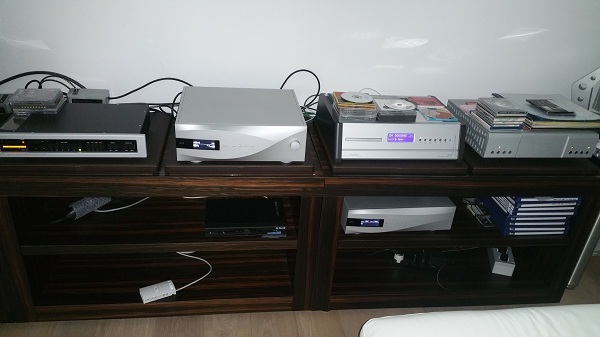 He uses the Puccini for digital with the Bergmann Sindre and Lyra Atlas and a CH precision phono. This for me was an extremely involving Wilson system, the Vivas are my favorite amps for the X2S2s with the Dan D’agostinos (DD). For the valve fans who are reading the move from Krell to Viva with an I told you so look, Marco compared Gian’s CH Precision to the Viva pre and is thinking of changing over when the funds allow. And to complicate things, Marco preferred the Krell to the DD while the owner of the system where I heard the DDs with the X2S2 swapped over from his Krell Evo 1 and prefers the DD much more. The Italians who have compared the Viva to the Mastersound, NAF (New Audio Frontiers) and the Airtight prefer the Viva, I have not done any such comparisons yet. Please read my amps for Wilsons section here (to be updated) when I get round to writing my thoughts on listening to the Alexandria X2S2s with Lamm ML3, Viva 845, D’agostino Momentums, and the XLF with Spectral DMA 400 and the VTL S450. Overall, Marco’s system was extremely involving, and when we jumped to the Bergmann, got even better. 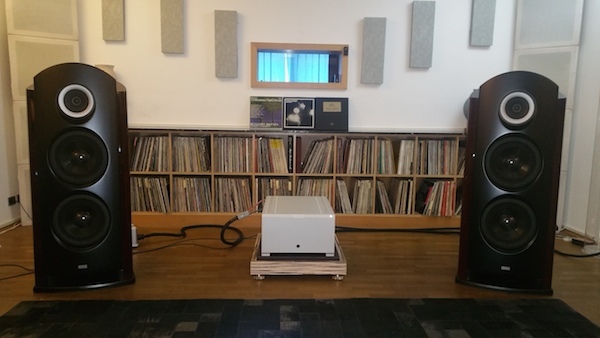 The only thing to improve here is the room treatment, and Marco needs to find some way to get depth and soundstage behind the speakers – this is difficult given that he has to place the speakers closer to the wall and there is a window in between. DRC with Trinnov or such is another possibility, at least with digital. The room is extremely wide, which is a good thing, and with sloping roofs. I will also point him to a some Alexandria set up threads by Marty at WBF on tweaking the giants. Gianluigi himself is a wiki of information – do pay close attention to his recommendations, even though english is not the strongest point. 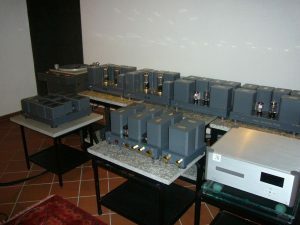 These are just some of the crazy systems he has set up over almost 45 years – he has been the first in Italy to own Audio Research decades ago, then the first to own Soundlabs. 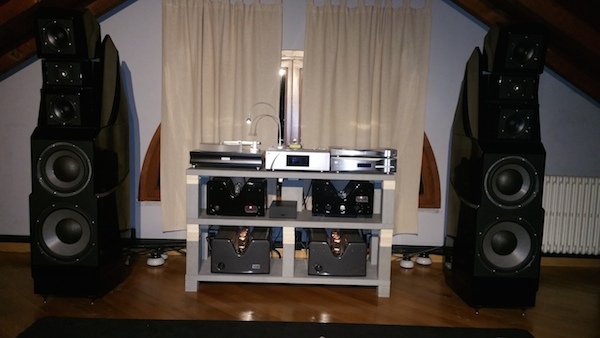 Below you see a Soundlabs with bridged Mark Levinsons biamping it (4 blocks). You see loads of Audio Tekne and CH Precision. These guys used to do constant shootouts to the nth detail – Jadis JA30 vs 80 vs 200 vs 500 – you name it. They would exchange Western Electric and/or Wilson Alexandria between themselves. All in the neighbourhood. These guys between themselves have loads of experience, and great ears. On most forums, owning Soundlabs and Alexandrias is a dream set up, and people are not sure about the amps. But these guys went through the motions 20 years ago biamping and triamping it. 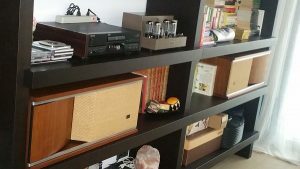 Without getting into details, his history can be summarized as Audio research sp 10+ 250,Krell 100 mono, IMF, Magneplanar, quad 63, Acoustat 2+2, Apogee duetta, Martin logan, Tympany IVA, Mark Levinson, Cello, Rowland, YBA – wait, let’s not get carried away. And if you though that was extreme enough, his AudioNote history alone is M7, M10, Gakuon, 2 ongakus, Neiro Silver, Kageki, Baransu, and 2 Sougas – wait, let’s not get carried away. I guess each is a dream component for some of the readers. His Soundlab A1s biamped with ML monos. After getting carried away through Audio Tekne, Kondo, and Gryphon, Gian has now ended up with a CH Precision system with 98.5db Montagna speakers. These gorgeous looking speakers are made in Italy and also owned by Yamamura horns owner and Goldmund distributor Pietro. 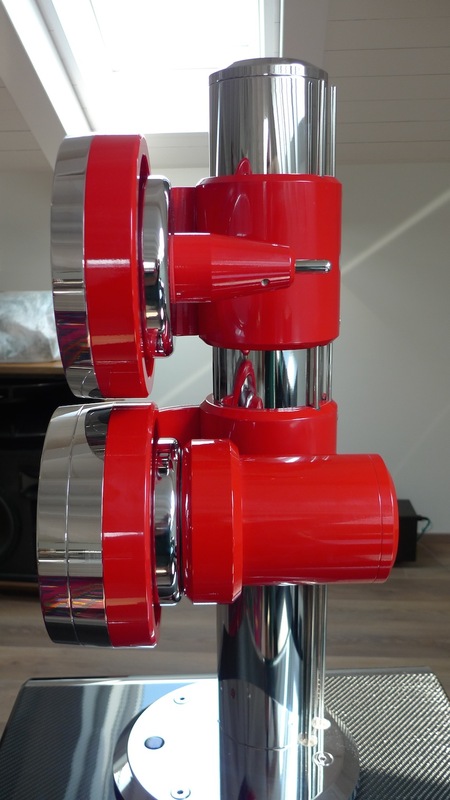 They are extremely clean sounding, fast, and with well integrated bass that hits you hard. Don’t expect the midrange to sound rolled off, or warm. There is no colour. High extensions with quick and snappy, hard hitting brass, backed by an equally responsive bass. With the CH precision, he prefers the M1 on the bass and the A1 on the tweeter, and the P1 phono. He prefers the CH to his previous triodes, as it lets him enjoy the magic with a cleaner sound and better extensions. He is aware there is improvement to be done by treating his new, big and bare room, moving out his rack from the middle, and trying to get less room reflections. I will be going back to compare the Bergmann to the Schopper 124 after he receives it. Meanwhile, we were able to compare the Bergman with the Clearaudio Goldfinger Statement through the CH Precision phono and the Studer. Ah well, Studer won…just more real, body, everything. Next morning we travelled to listen to the TAD Reference with Pass XA 160.5 and the Esoteric K01. 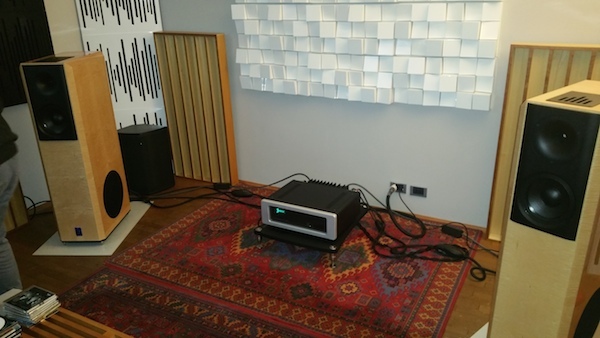 It was a nice weighty system, the Pass adding a good flowing, liquid class A tone, but like many class A amps, is not the fastest and the most extended as compared to some class AB amps. The next day I heard the TAD reference in a different room with Boulder 2160 and the 2110 pre. 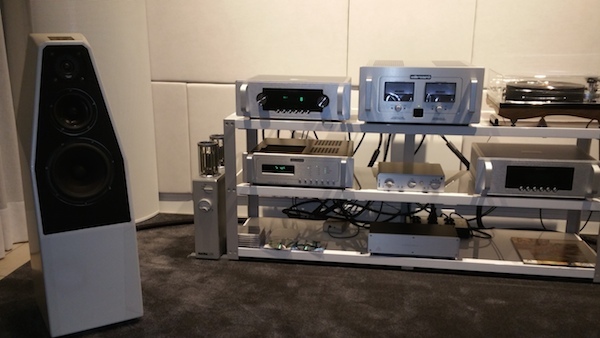 I have previously compared the 2160 to Burmester 911 and the Plinius on YG Hailey, and it is a fantastic SS amp, probably among the best, with a clean, speedy, dynamic, bass sound and giving the small inflections. Very different sound to the Pass which is more bodied, denser, liquid, though slower. 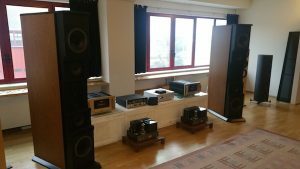 We then visited Dimitri at www.Madformusic.it – all these Italians have grown up together trading hifi secrets, and said that Dimitri was the most respected system and analog set up guy in Italy. 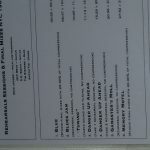 They warned me that irrespective of the budget of his systems, I will be wowed and sent back to the drawing board. 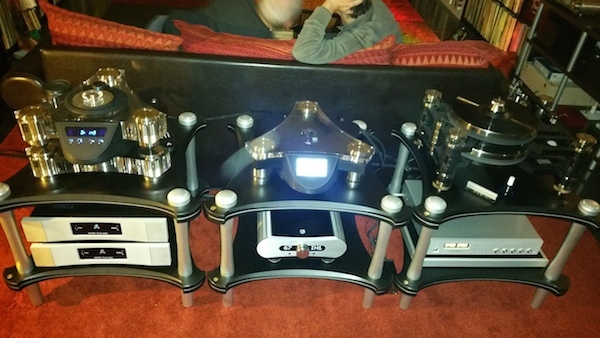 At Dmitri’s, we first went downstairs to a room with Wilson Benesch speakers. 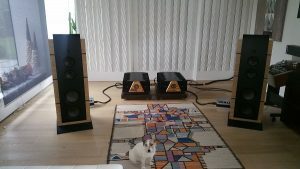 These are not speakers I normally am fond off but Dmitri had placed them in a Cardas configuration to match the room, and was driving them with Gato class AB amps and the Gato pre. 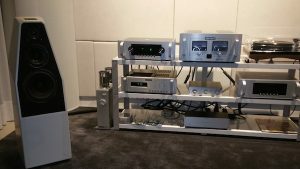 Here we were able to compare the top of the line Metronome CD player + dac with the Kronos Sparta + 2k Euro Shelter cartridge, and the Luxman tubed 7k Euro phono, the whole analog setup a fraction of the Metronome cost. To all 3 in the audience (Gian, Marco, and me), the digital was no match for the Analog on classical – in terms of depth, stage, tone, bass, dynamics, and realism. Metronome is extremely good though. 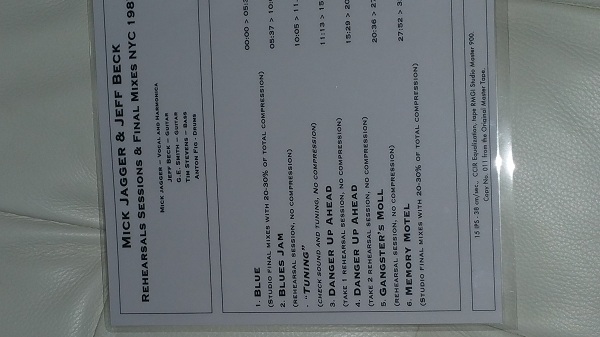 On amplified stuff, it was more difficult to tell, possibly because I was not familiar with the tracks. 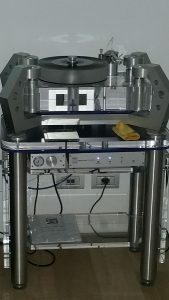 We then went upstairs to a room with the Metronome CD8 and the Metronome streamer. Comparisons showed that the streamer had a lower noise floor, hence slightly more soundstage and space. Given the convenience factor, having the streamer instead of the CD player is a no-brainer. Now for the shocker – This room disturbed all 3 visitors – Marco, Gian and me. The speakers were B&W 805 standamounts, not something we normally like, and which we dismiss as bass light. The room was narrow but long, and they were pulled well into the room next to the walls with the seat pulled in too. 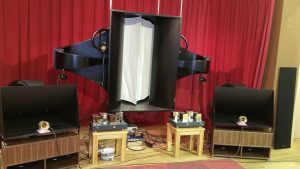 By positioning the speakers and the listener perfectly, and despite driving them with class D Gato amps (we were later surprised to learn they were class D), Dimitri was giving a fantastic soundstage, depth, bass and dynamics to full symphonies. 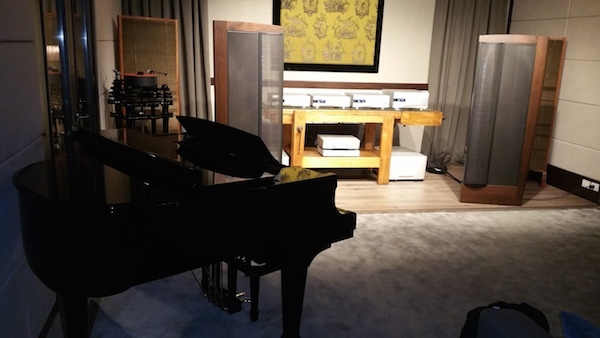 We tried toggling on and off the Wilson Benesch 8k subwoofer, and while it was a great sub that added to the stage, it was the speaker positioning and matching that was working the magic. For those of you who don’t believe me, Marco has spent the last few days trying to adjust his Alexandrias to get the stage of a B&W standamount! That is the hard truth, folks, while we all know we should not put big speakers in a small room, Dmitri’s concept of big is much smaller than most of us thought. After Mike Lavigne’s speaker positioning, this is probably the best example of speaker positioning I have seen, and I have not really seen many trying to use this weapon effectively. Gian too is going to go back and try to pull in his speakers 1m more to get that depth. That was not the only 2-way that would surprise us, next day the Magico mini would do the same. 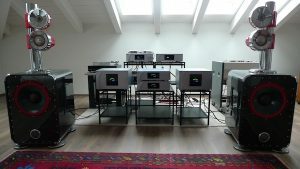 Audio Graffiti and the Basis Audio Work of Art– Sergio of Audio Graffiti is one of the oldest and biggest distributors in Italy. He used to sell FM acoustics, and for almost 20 – 30 years has been doing Spectral and Boulder. 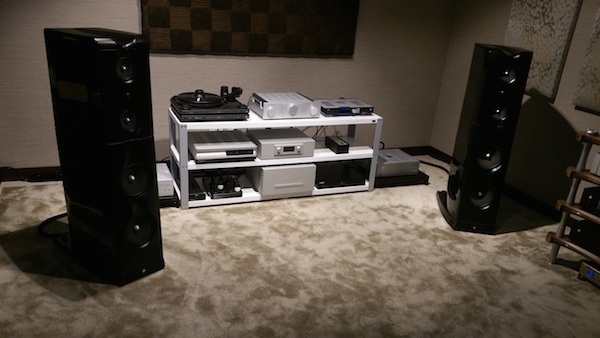 At his home, his own personal system comprised of Magico M5s driven by MBL class A monos, Spectral 30 pre, and the Scarlatti for digital. What I was most interested in listening to here was the 200k USD Basis Audio Work of Art Turntable, with Lyra Kleos and Boulder 1008. Legend! And RIP, AJ Conti. The Basis is an extremely clean sounding, dynamic TT that adds to the stage and sounded better than the Scarlatti. 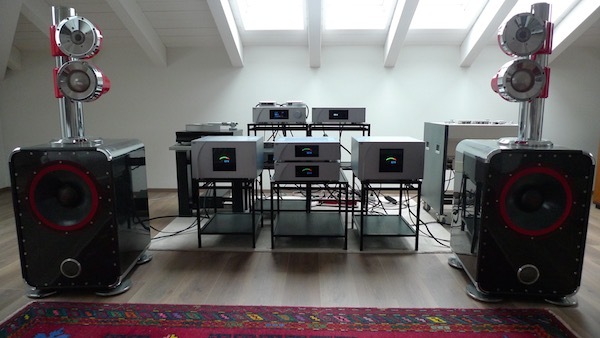 The only thing is, the Studer 810 in that room is even better, and for the price you can buy a Studer and many tapes. 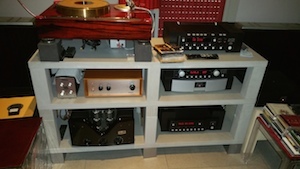 The way I look at crossover points are, at what price in digital can you build yourself a good analog deck with LPs? 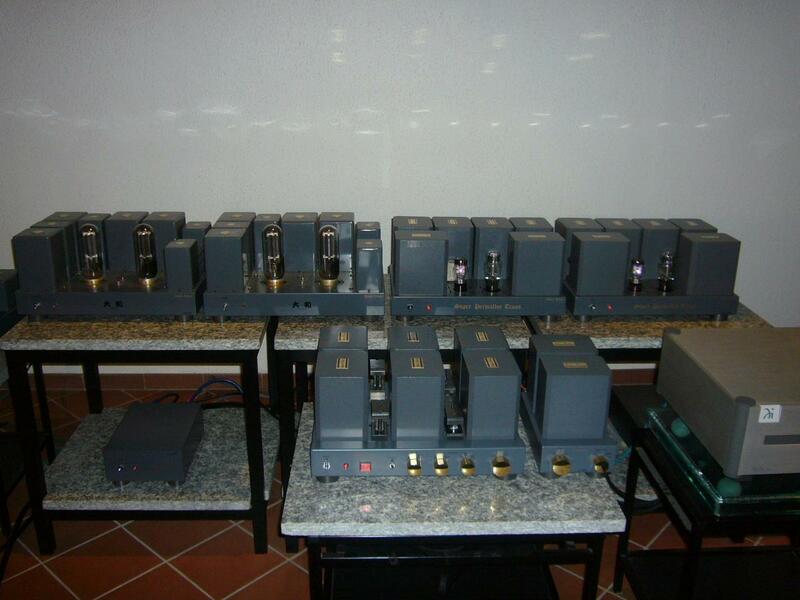 Similarly, at what analog price can you get yourself a good tape deck with tapes? However, the TT is a collector’s item. Sergio was full of surprises. He took us upstairs to a small room, and played the JBL Minivox with an old Marantz integrated and Sony CD player, this has to be one of the most musical systems I have heard. This is a mini-JBL Paragon. Personally I think everyone should get one for a second system. Strongly recommended. 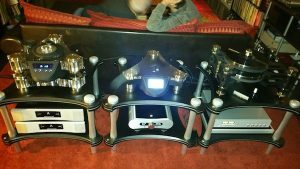 Then he took us to his gigantic living room where as part of the TV system he has the Soundlab M1s with the Spectral 10 and Spectral 50 (80w). The room is 7m wide, the ceilings are probably equally high, and it is extremely long. 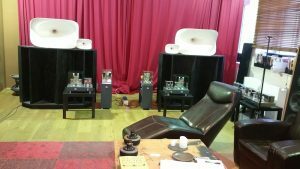 The listener sits nearfield to the Soundlabs. 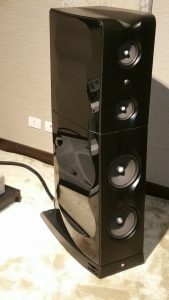 I have heard the Ultimates before with Ypsilon Aelius as well as with top of the line Bel Canto amps, and the old A1s with Krell FPB 600, but this is the best I have heard Soundlabs. The Spectral and the stats were giving one of the cleanest, most transparent sound, with the decay of the stats and the room helping the Spectral. 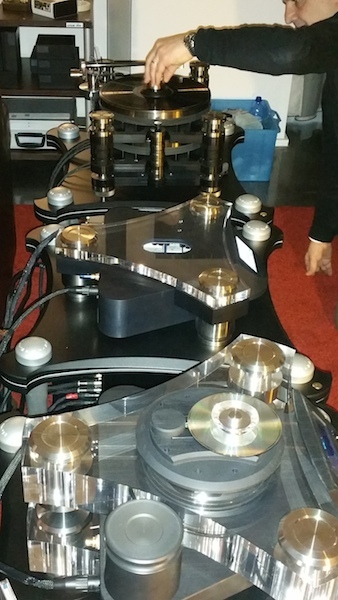 The system was being streamed through with a low priced dac and was extremely strong on bass. I was not able to demo my audition tracks on it, but this was my favorite system in the house. Highly recommended if you have the space – and that is a lot of space. 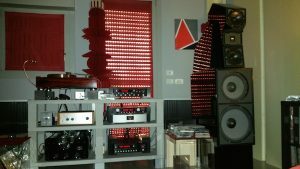 After that, we left for Audio Graffiti’s studio, which has the Magico M6 among other things, but was not set up. We heard the TAD Reference with the Boulder I have already covered above, followed by Duntech Sovereigns with Accuphase M8000 and the dCS Rossini. This was my first time listening to the Duntechs, they are a massive speaker and for the money, if you have the room, a great source for large scale, high bass music. 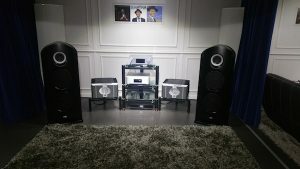 The owner, Audio Graffiti, had received a pair of Tenor 75 OTLs in a trade-in, and though I have heard the 350w hybrids from Tenor, I had not heard the 75w ones. We plopped them down, let them warm up on the Magico Minis for 10 mins, and walked back in. Voila! The system had transformed. There was much more magic, attack on piano, weight, tone, density, soundstage behind the speakers and a room fill that had been previously missing. The notes were decaying better. This is easily the best jump I have had during an amp swap. We moved the Tenors over to the Lansche, and the magic stayed. The baritone voice had filled up in the chest, the soprano was more musical, the instruments had better timbre and tone, and the overall weight and bass was more. The Spectral had more separation on chorals. If I had the money and the speakers on which 75w OTL would suffice, I would have bought the Tenors then and there. I know Michel (flyer on WBF) owned the Tenors and now switched to Aries Cerat SET amps, but that’s about it. Without any further compares, if I had to choose one amp today on sonics alone, it would be the Tenor 75. 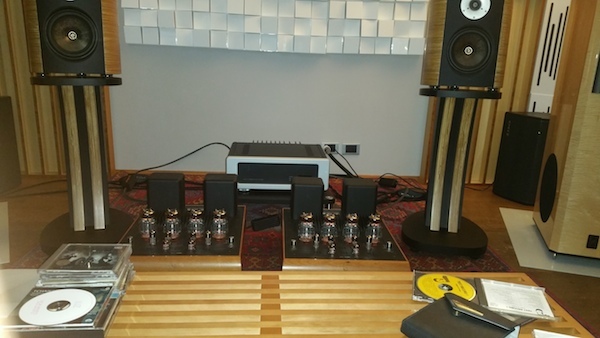 I need to come back to do a compare of the Boulder, Spectral, and Soulution preamps, Spectral vs Boulder power, and Airtight vs Viva, given how musical the Vivas were sounding with the Alexandrias. Sergio was an extremely kind host. His Audio Graffiti site has over 11,000 members and is a key site to trade used goods in Italy. 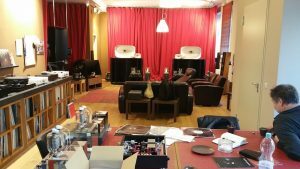 In his shop itself not only does he have the products he distributes – Boulder, Spectral, Magico, Lansche, Basis, Viva, Lyra, etc…but also other traded in goods from Tenor, Airtight, Duntech, Accuphase, Dartzeel, and many others, for those who are interested. 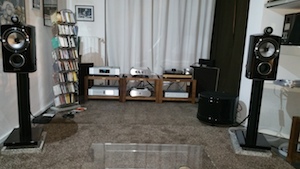 After a very satisfying day the next morning we visited Alta Fedelta Merate who does D’agostino, Constellation, Martin Logan, Wilson, AR and Nagra, Goldnote, Kuzma and much more. 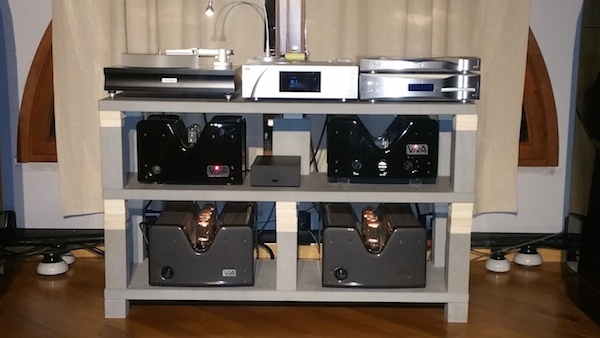 We started off with the Vivaldi stack and top of the line Constellation pre and power into the Martin Logan CLX. The first thing when you enter this room is wow – it’s one of the best WAF rooms you will see. 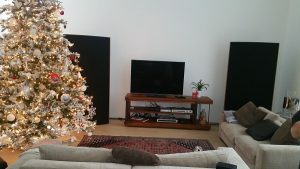 It is tough to beat the CLX as a living room speaker, despite it coming a few feet out, it just looks so beautiful – you can have the wood finish to match your flooring, and unlike with other panels or big speakers, the see-through panel of CLX still retains the feeling of space in your living despite being out into the room. Having owned Summits I know MLs can do mids, so I wanted to test the bass of the CLX with Mahler and Pictures at an Exhibition. Gian used an excellent CD of Pink Panther which has deep double bass. You are not going to miss much on the bass, obviously comparing it next to a big cone or Apogee might make it feel a bit bass light, but you are not going to miss anything while listening to it. 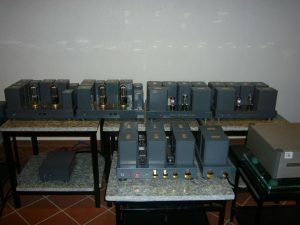 Also, I believe that stats need a valve in the chain, or a Class A amp with more density, that can fatten up the sound. The Soundlabs are different – they have more bass and can do fine with Spectrals. There was an M project in the room that was not set up. The thing that surprised us most at this shop was the Goldnote system. This is a nice system for a small room. 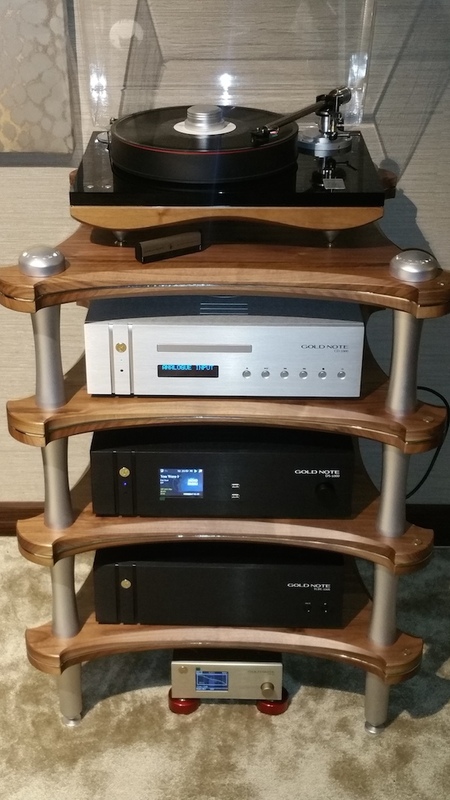 Reasonably big floor standers that cost 27000ish EUR, and fit in easily, but the range of Goldnote TT and arm together that cost 3.5ish K, and a cartridge that cost 1800, are relatively low priced. 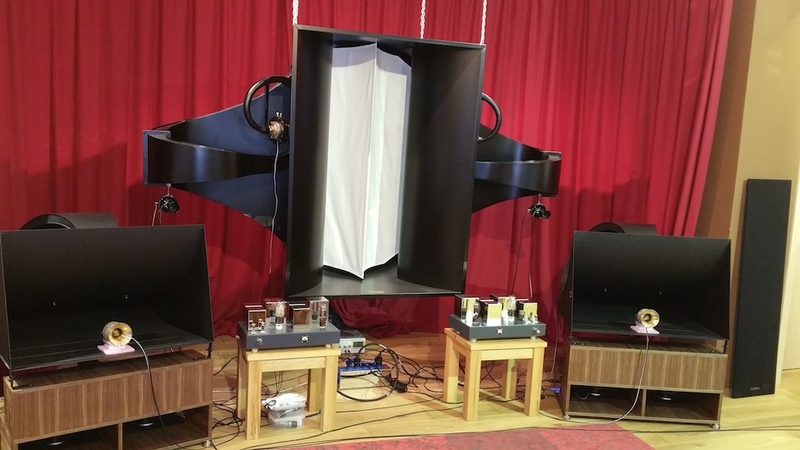 We also heard a room with AR and the Sabrina, another great speaker for a small room. 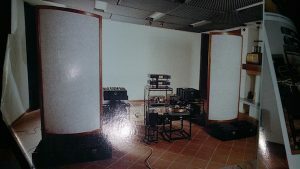 The distance between the centre of the speaker line to the listener’s seat was just over a yard, and these speakers can go into corners. With Sasha II and this, Wilson has improved on its product line. 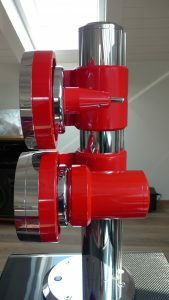 Great for small rooms, the Heco Direkt are much lower priced. The trip ended with a brief visit back to Pietro, whom I had visited last Jan. He has now become a distributor for Goldmund and added the active Prologue to his old Apologues. I have updated last year’s write-up accordingly. His Yamamura horns continue to be one of the best, if not the best speaker, and system in the world today, and is Gian’s favorite too. The Yamamura has the best midbass bloom and swell of music that I have heard. The bass trombone and the tuba is a few leagues better than anything out there, you hear the deep rumble that you cannot hear in other systems. 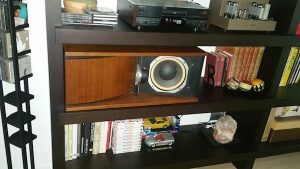 The key learning was that Yamamura aside, if you want to set up a system for music, you have to get speakers that disappear in your room, small speakers, that you can pull right in to create depth and stage. 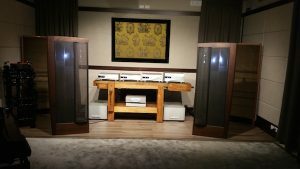 Most audiophiles really need to revisit their concept of what is a ‘big’ speaker – a normal floorstander might be a giant speaker for your room, in case you are thinking it’s only the Alexandria or Grande Utopias that constitute big. 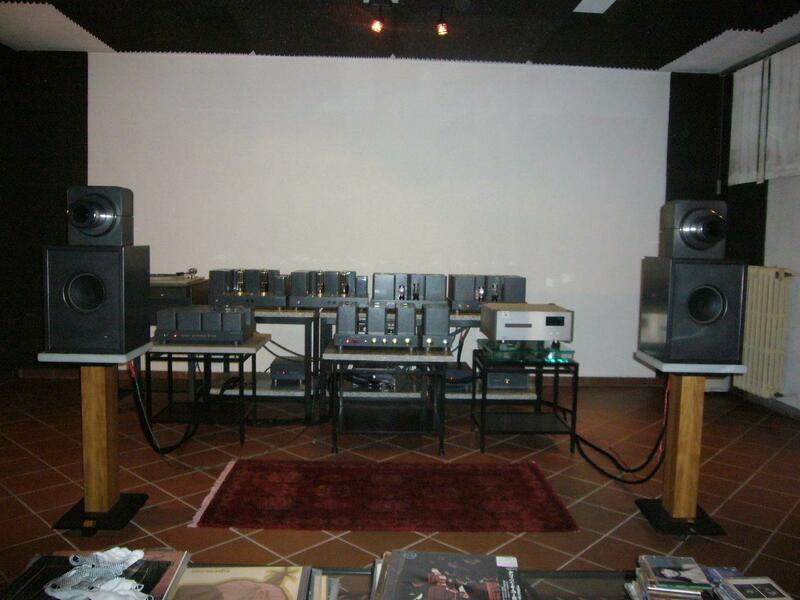 Imagine, a B&W 805 has sent Marco back to try and reposition his Alexandrias to get more depth and stage behind the speakers. Gian too will be trying to pull his Montagna a few feet in and later try to move his rack out from the middle. To recommend a general standamount over some exotic giant speaker is the best way to make an article boring, but I cannot stress how much reality disturbed us. I have increased respect for folks like PeterA and Al M over at WBF. How many are fit enough to house a reasonably sized full ranger? Again the Stenheim Alumine 5s, given their size, seem to make more sense for those who want a full range cone but don’t have a well treated concert hall to house them in. I remember at Rhapsody Audio’s in NY, we noticed how good the new Magico S1 was sounding despite the fact that the S5 had better bass. We all know the basics but forget to implement them as we are swept away by gear – which is fine, playing with gear is part of the hobby. One of the reasons that horns sound so good is that they produce magic and realism in another way, by staying close to the wall, and creating a denser soundstage up front rather than needing the space behind them. The directiveness of horns also takes away the room once you have sufficient space in the room. Analog, no matter the cost, outstripped the digital, from Kronos vs Metronome to the low priced Goldnote. Tape was superior to the analog. Choose your price points smartly…I, like many, started small and thought I would only be a digital guy. Before I knew it I had upgraded myself to the Lampi GG. Luckily it is the best digital I know, but is also the price point at which it makes sense to cross over to a Schopper Thorens or whatever your choice is (Used Sparta, AF3, etc). I would have been quite disappointed had I paid 25k for my digital and missed the analog boat. The Tenor OTL was the other special component that is a key takeaway from this trip. On the internet you will find many caveats regarding maintenance quality, please read. Wilson Sabrina, along with Heco Direkt, makes it to our reference components list for small rooms. Used Acoustats are great for the job but rare, and the Wilson Sabrina in an extremely small room sounded great but more expensive than the Heco. And yes, don’t underestimate the power of standamounts. 1 Comment on "The “Let’s not get carried away” Italian Road Trip!" Great write up. I appreciate all of the various equipment and tight tight frame, so you did well to describe the various different setups. I particularly like the observation about small speakers and the importance of room set up. You have a very nice website.